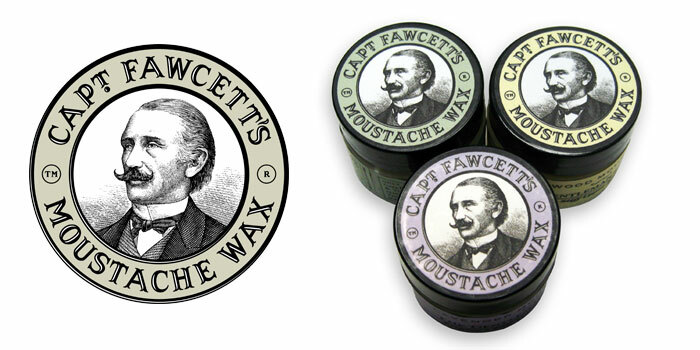 Known as “The Gentleman’s Stiffener” Captain Fawcett is the home to a range of Gentlemen’s grooming products. The products range from Beard oil, mustache wax, shaving soap, shaving brushes, safety razors and so on. This all started back in 1997 when an old trunk was purchased from a house clearance and taken home. Discovering that this belonged to Captain Peabody Fawcett R.N Ret’d, the Edwardian Explorer it was forced open and among the contents inside were oils and ointments and an old journal containing detailed lists of exotic ingredients. Taking on the responsibility of carrying out the legendary “keep a stiffer upper lip regardless” the formulae have been faithfully followed and are now available to Gentleman all over the world. We have a privilege to interview the man behind the discovery of Captain Fawcett’s. Read more to see what he has to say. The dear Captain is based in Norfolk & Good Blighty. When did you realize you wanted to be a barber? I am not currently a barber but a purveyor of First Class Gentlemen’s Grooming Requisites. Describe a few steps you took to pursuit this. As an Edwardian explorer of some repute I believe it is imperative to present stiff upper lip regardless of whatever the day may present. How would you deal with a customer who didn’t know what they wanted? Refer them to their commanding officer. 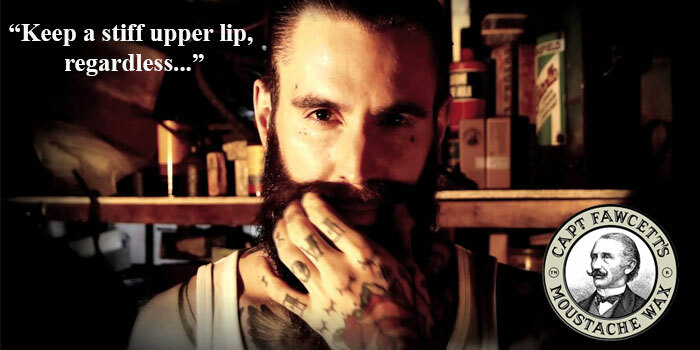 AS a manufacturer of the world’s best moustache wax I am proud to have aided in the ennobling of many an upper lip. Who are some of your favorite barbers? What do you believe makes a quality hairstyle, cut and groom? Whatever your chosen image, be it a Scumbag, Young Fogey, Rockabilly or Lounge Lizard be sure to cut a dash. Plant hunters and Explorers of yesteryear. What advice do you have for aspiring Mustache growers? « Why use badger hair as a shaving brush material?